PYROSTERIA LIVE!!! Pour Some Sugar On Me! A recreation of the Classic Def Leppard era with a tour through the hit albums Pyromania and Hysteria. PYROSTERIA has the looks and sounds that made DEF LEPPARD a worldwide success. PYROSTERIA ROCKS! - Blew away national headliner! 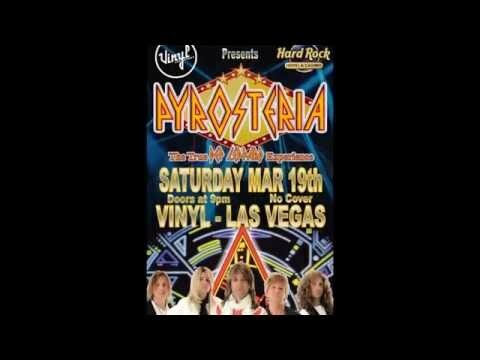 Pyrosteria was booked to open up for one of the nation touring bands from the 80's (a.k.a The Cherry Pie Guys) at our 2-day outdoor music festival. They stole the entire show, amazing the crowd with the spot on music and appearance of the real Def Leppard. They also where very professional and easy to work with (unlike the headliners who had too many demands). We will have them back again next year! You should book these guys over any others! Amazing show at Ride for the Warriors! We enjoyed working with your great people and for a great cause! Thank You for reviewing PYROSTERIA! Thought I was watching the real Def Leppard! 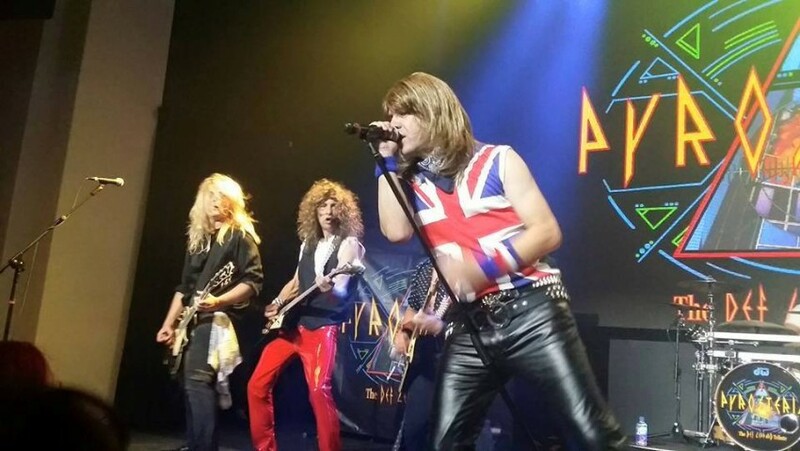 From the first song (Rock Rock 'till You Drop), to the finally (Pour Some Sugar on Me) Pyrosteria takes you through the early glory days of Def Leppard as if you were there in the 80's. I've never seen anyone pull off the sound and look like these guys do. Oh, and they are really nice and down to earth guys...no rock-star attitudes. If they come to your town, Do go see them! PYROSTERIA is a Visual and Audible tribute to Def Leppard. 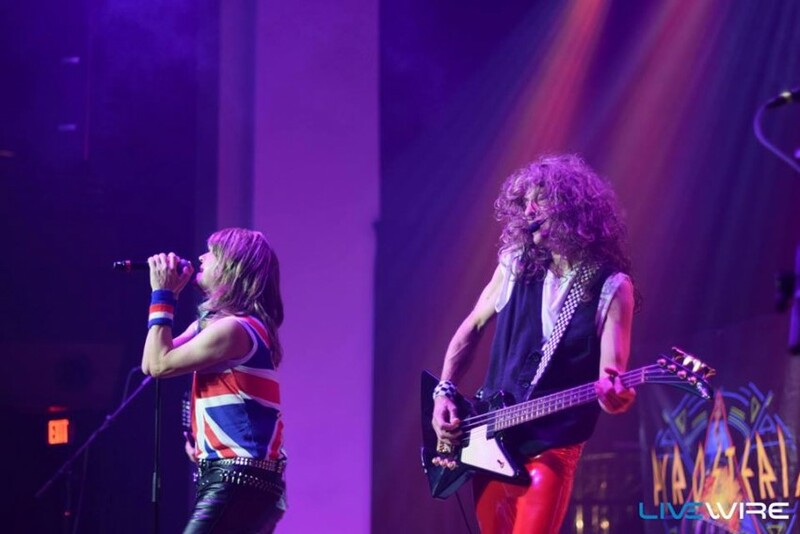 We use the same instruments as Def Leppard and have an amazing lead vocalist that no other Def Leppard tribute can match. 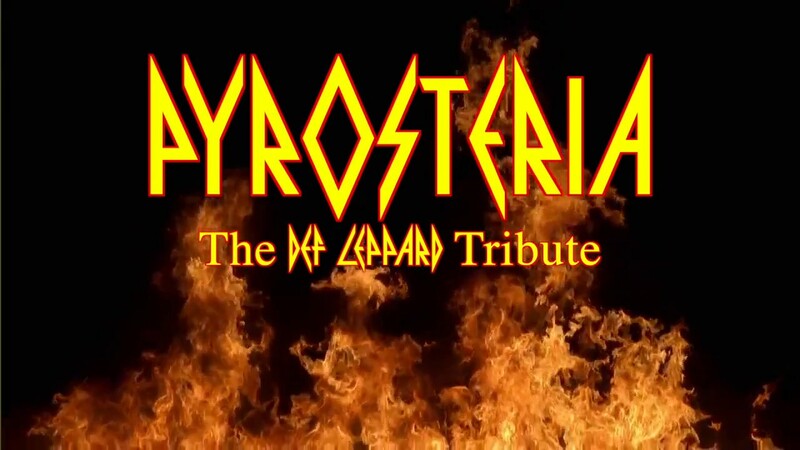 PYROSTERIA has the costumes and a costume change to emulate the changes DEF LEPPARD made during the Hysteria Tour. The PROSTERIA show plays the majority of Pyromania and Hysteria albums with a few early gems and a few newer hits. However, with the increase of tribute band interest has come an influx of tribute bands popping up. Good thing? Not always. It seems that too many bands have slapped on some makeup, put on a wig and went shopping at the local Goodwill just to get a tribute band going with the hopes of capitalizing on the popularity. All too often a buyer will be disappointed with the end product thinking it was the "Premier" or "Ultimate" tribute to...(named band). I would like to introduce you to PYROSTERIA. It is a spot on rendering of classic Def Leppard. I have found musicians from all over the USA to build this project. Some were signed national label acts. PYROSTERIA focuses on the huge Def Leppard hits from the Pre-Pyromania to Hysteria albums with a few other gems included. 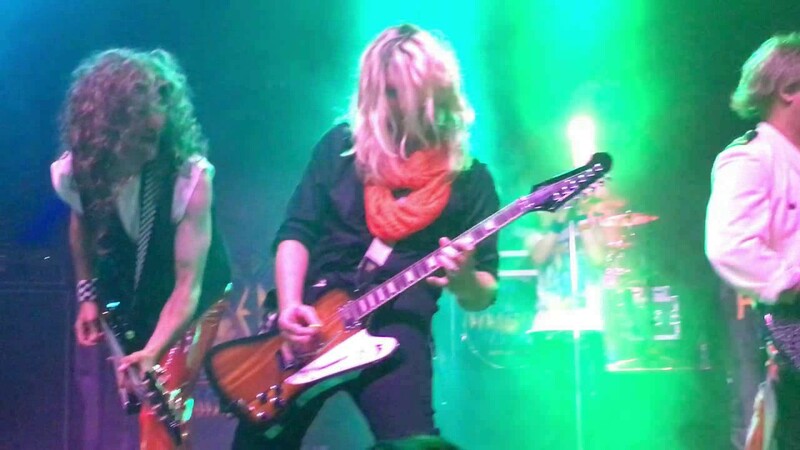 The band has the same clothing and even plays the same instruments that Def Leppard used during that era. We played in Las Vegas and toured across the USA playing many State Fairs, Corporate and Casino venues from Washington State to Mississippi to Rosebud South Dakota! We are professional and know what it takes to put on a great show. We are looking to book shows at your venue..... We are very easy to work with. Working with PYROSTERIA, you will get a rockstar performance without the rockstar attitude. PYROSTERIA is willing to travel worldwide. Thank You! PYROSTERIA has a very simple stage rider. Guitar amps are NOT required. We use custom made amp simulators that sound great. We only need a drumset, bass amp, lighting and pa system to be provided for show that are outside of the Arizona/Southern California/ Las Vegas area. PYROSTERIA plays the Hits from the Diamond Selling albums Pyromania and Hysteria with some other gems in the mix.